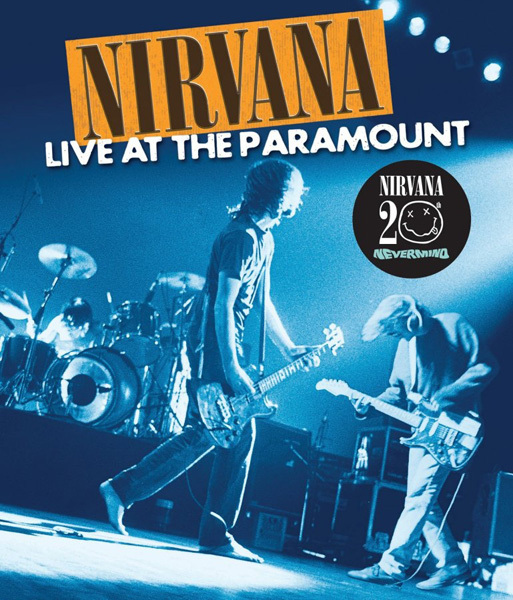 Fresh off the release of what was soon becoming the seminal album of a generation, Nirvana took to the stage of Seattle’s famed Paramount Theatre to an unwavering homecoming crowd while on the road in support of Nevermind. Launching the nineteen song set with a brilliant cover of the Vaselines “Jesus Doesn’t Want Me For A Sunbeam,” the band cranks out their soon-to-be iconic songs “Smells Like Teen Spirit,” “Lithium” and “Breed,” while delivering earlier fan favorites “School,” “Love Buzz” and “About A Girl.” The Paramount concert is the only show ever shot of the band on 16mm film and has been transferred to an incredibly detailed 1080p high definition picture and mixed in 5.1 surround sound from the original multi-tracks for Blu-ray. The concert is also available on DVD and digital longform video formats.